Fresh Cab Botanical Rodent Repellent was invented because Kari Warberg Block didn’t feel comfortable using traps or harmful chemicals around her children, pets and livestock. Why wasn’t she cool with that? Everyone else was doing it; they sold the stuff in stores; surely it must be fine…right? 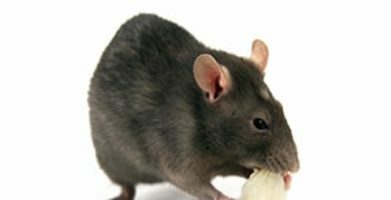 What is rat poison made of? 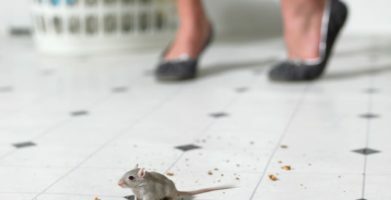 Rat poison, rodenticides and other pest control chemicals are most commonly comprised of anticoagulants such as warfarin, coumatetralyl difenacoum, brodifacoum, flocoumafen and bromadiolone. Although these chemicals are effective at killing rats and mice, they are also effective at killing other people or animals who accidentally ingest them, and even predators who typically eat rodents if their prey has consumed any of the poisons. The risks of these toxic chemicals are so serious that the Federal Environmental Protection Agency (EPA) is moving to ban many of the products containing these chemicals from store shelves. Although regulations have been passed regulating the types of poisons that can be used and requirements to seal them in protective bait stations to prevent children and pets from accessing them, not all manufacturers have complied. This is where Kari’s invention, Fresh Cab, comes to the rescue. Getting rid of rats and mice doesn’t have to be dangerous. Children, pets and wildlife can be protected and you can be rodent free! Visit our Pest Library for more information about rodent control and prevention. Fresh Cab Botanical Rodent Repellent was invented because Kari Warberg Block didn't feel comfortable using traps or harmful chemicals around her children, pets and livestock. Why wasn't she cool with that? Everyone else was doing it; they sold the stuff in stores; surely it must be fine...right? Rat poison, rodenticides and other pest control chemicals are most commonly comprised of anticoagulants such as warfarin, coumatetralyl difenacoum, brodifacoum, flocoumafen and bromadiolone. Although these chemicals are effective at killing rats and mice, they are also effective at killing other people or animals who accidentally ingest them, and even predators who typically eat rodents if their prey has consumed any of the poisons. The risks of these toxic chemicals are so serious that the Federal Environmental Protection Agency (EPA) is moving to ban many of the products containing these chemicals from store shelves. Although regulations have been passed regulating the types of poisons that can be used and requirements to seal them in protective bait stations to prevent children and pets from accessing them, not all manufacturers have complied. "According to agency statistics, 10,000 children a year come in contact with the dangerous chemicals. Pets are often drawn to rodenticide chemicals, too, a problem that sparked nearly 7,000 calls to the ASPCA Animal Poison Control Center in 2011. Depending on the kind of rodenticide, the poison could cause internal bleeding, kidney failure, or seizures." This is where Kari's invention, Fresh Cab, comes to the rescue. 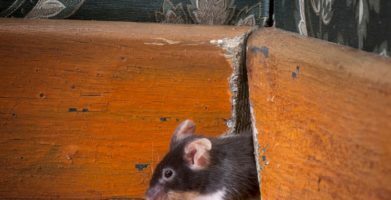 Getting rid of rats and mice doesn't have to be dangerous. Children, pets and wildlife can be protected and you can be rodent free! Visit our Pest Library for more information about rodent control and prevention. string(46) "Dangerous Mouse Control Products Banned by EPA"